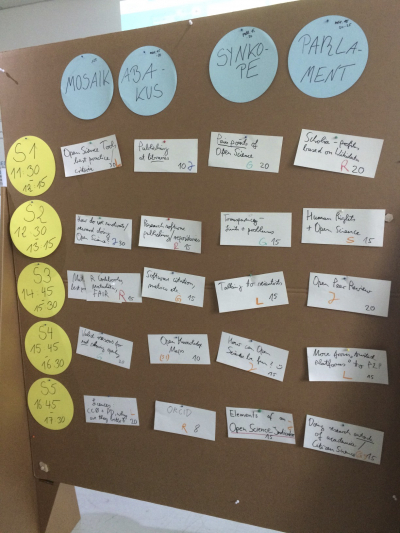 Have you ever been at a barcamp before? If I am totally honest with you, me… never ever! The first time I heard the words “barcamp” I was not sure what it even meant until my colleage — who told me about it — explained it to me. 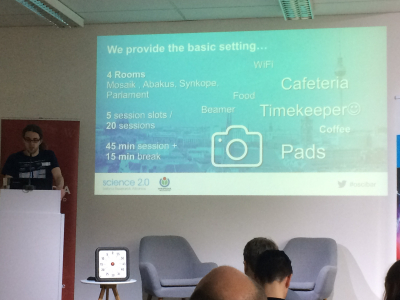 So it is how I attended for the first time in my life a barcamp, more specifically: Barcamp Open Science (archiv), celebrated last 12 March, 2018, in Berlin, Germany (Hashtag: #oscibar) and I have to say that the experience was just amazing. The format of a Barcamp is actually really easy, lots of people come together and have the opportunity to offer interesting sessions to the others. Depending on the number of participants the session take place or not. That means that a barcamp has a high degree of “improvisation” with quality. Doing research outside academia / Citizen Science. All the sessions that I was attending were really interesting; but the session that I most liked was: “Fun In Open Science” by Dr. Ingo Keck. 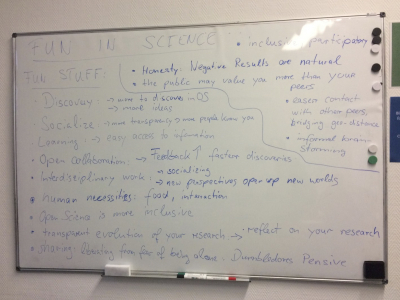 At this session I got the oportunity to realize why and what I really like of Open Science. The idea to be collaborative is at the end a new kind of competition. No matter what field you are in, from development assistence to tech, collabotation is going to be the future because it brings a truly innovation. There is no need for all of us to reinvent the wheel. There is not need for all of us to repeat what already has been done. In a field like science, scientific research is based on collaboration, and we can learn much from this model to facilitate institutional and business collaborations. If we look around us, we can see that words like: transparency, collaboration, open access, authenticity, etc., are getting more and more important on our societies. The rising of awarness about what other peple are doing is incressing on popularity. Citizens around the world are demanding more access to information from public institutions together with more transparency. From my point of view, there are more good actors than bad actors, and this raising of conscience is going to bring us all forward.